Our Site Event team spent a busy two days at Olympia, London for the Event Production Show 2018. 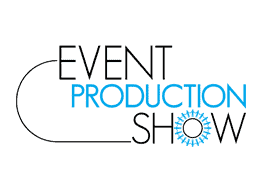 Keep reading for our review of Event Production Show 2018! Despite the weather disruptions across the UK this week, we were pleased to see so many faces at Event Production Show. We’d like to thank our existing customers who braved the snow for coming to say hello! The footfall was perhaps lower than hoped for but we still enjoyed seeing friendly faces as well as meeting new potential clients. Other customers who we’ve spoken to over the phone many times introduced themselves and it was great to put a face to a name. 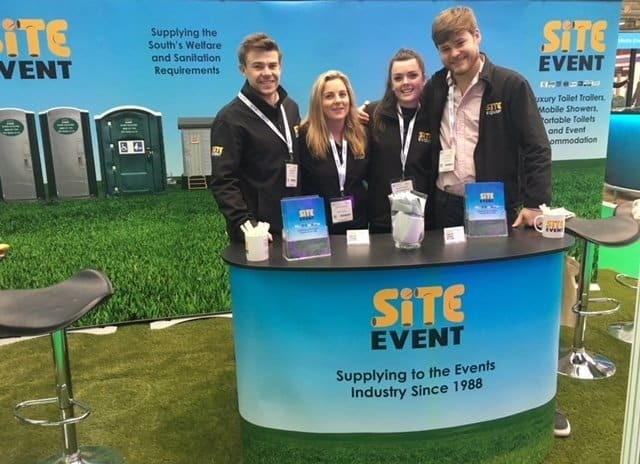 Our Event Sales Executive, Charlie Martin – who exhibited at our stand along with Amy, Adam, Dan and Katie – adds her review of Event Production Show 2018 below. “Students, exhibitors and suppliers all flooded into London’s fantastic Olympia venue (which incidentally claims the first ever multi-story car park) to promote and compare anything and everything from caterers and florists, to stage productions and event management consultants. People came to share opinions, assess strategies and network and many commented on our grass flooring and large back drop at our newly located stand. It was a cosmopolitan show with people visiting from not just from the UK but all parts of the globe. In particular, people visiting from America were very impressed with our advanced portable sanitation technology. For now, however, we are not importing our products internationally, although never say never! We would like to thank everyone that joined us at Event Production Show this year, we hope to see you again soon! If you would like to enquire about how we can help you, please give our friendly sales team a call on 0800 371 994. Alternatively, you can email us on the address at the top of the page or fill out an enquiry form below.